The Prosecutor's Office and the Interior Ministry are keeping silent. They are hiding the files exposing cops in complicity in drug distribution. Just days before the “narco” battle in Bulgaria’s largest summer resort “Sunny Beach” between the gangs of Dimitar “Mityo The Eyes” Zhelyazkov and Bozhidar “Bozho The Goat” Kuzmanov, a private party brought together in the restaurant-club “24” in the Black Sea town of Pomorie senior magistrates, police officers, government officials and businessmen. The Head of the Ethics Committee of the Supreme Judicial Council (SJC), Yassen Todorov, and the Chief Secretary of the Interior Ministry, Georgi Kostov, were among those present. The celebration, which took place in the evening of June 3, was organized by the new District Prosecutor of the Black Sea town of Nessebar, Radost Boshnakova, on the occasion of her promotion. The prominent guests were guarded by the National Security Services (NSO), the police and in the shadows… probably by “The Goat’s” thugs. The exact facts can be established only by an independent investigation, however, the evidence that we are presenting here shows that it is impossible to conduct such investigation in Bulgaria. A few days after this party, the same goons started the bloody shootout in a busy Sunny Beach restaurant, filled with foreign tourists, with their “colleagues” from Dimitar Zhelyazkov’s gang. According to Prime Minister, Boyko Borisov, this was a “neighborhood brawl and a dispute over a parking space”. However, on Friday, June 17, this talking point was refuted by the very Prosecutor General, Sotir Tsatsarov, who said to the media that this was a shooting over a “narco space” and there is a possible complicity of officials of the Interior Ministry in the mafia schemes in the resort. The new District Prosecutor of Nessebar, Radost Boshnakova, who is in charge of law enforcement in this region, is presenting herself on Facebook with a nick in broken French – shanelmodemoiselle. (She probably had in mind Chanel’s perfume Coco Mademoiselle?) Boshnakova has sent invites for the restaurant party to dozens of colleagues and notables. Restaurant 24 in Pomorie is located in a building owned by the company “Horizon”, which is in turn owned by Plamen Petkov and his wife. The Pomorie municipality has a small share in the company. The restaurant-club is owned by Plamen “The Pomorie Man” Petkov. Petkov was close to the late boss of one of the two alleged main crime groups in the 1990s – Bai Mile and was later partner of his widow – Sylvia Panagonova, before they entered into a conflict over real estate and business interests in Sunny Beach. In 2013, their dispute reached the dimensions of a gang war, which acquired a sinister international notoriety, because it again erupted in front of terrified foreigners at the height of the summer season. Precisely Petkov is the boss of Bozhidar “The Goat” Kuzmanov and his “firing squad”. After the shooting in Sunny Beach, Petkov has disappeared and is probably abroad, acquaintances, wishing to remain anonymous, say. But on June 3, he was the one greeting and taking care of the guests of the restaurant where senior civil servants and magistrates partied. People close to Zhelyazkov say that the original location of the fatal deadly mafia meeting was precisely the Pomorie restaurant, but the idea was later rejected. Bivol sent questions to the Interior Ministry and the Prosecutor’s Office whether senior personnel of the Interior Ministry and magistrates participated in this event, held on 3 June Until now, this fact has not been denied by any institution. Their silence after our questions explains it all. In any case, the very existence of such “events” reveals the mafia-oligarchic model of ruling Bulgaria. The Chief Secretary of the Interior Ministry, Georgi Kostov. Photo by Lyubima Kalpachka, Darik Radio Blagoevgrad. There is also no reply to the questions that Bivol asked to the Interior Ministry and the Prosecutor’s Office on the reports that police officers from Nessebar have filed, alarming of the complicity of their colleagues as drug dealers and protectors of Zhelyazkov’s people. Bivol was the only one so far to publish an investigation into this evidence. These events happened at the end of the last tourist season in Sunny Beach. Bivol has obtained from internal sources detailed operational information on major crimes, which we are making public in view of the huge public interest. Despite the filed police reports and launched proceedings, to date there is no prosecution against policemen from Nessebar for possession of drugs. And this is the most categorical proof that there is a powerful cover-up on the distribution of drugs in the “kingdom of vice”, as Sunny Beach is called, whatever else the Minister of Interior says. In early September last year, police officer Ivan “The Aheloy Man” began his shift and took over the police cruiser from officer Velichko Chernev. In the car, he found packages with a hard drug and filed a report, which was followed by pre-trial proceedings. The file simmered for three months and then was sent to the Regional Prosecutor’s Office and later forwarded to the District Prosecutor’s Office in Burgas, which ordered the Inspectorate of the Interior Ministry in Burgas to conduct a probe. The result of this probe is a cover-up of the huge scandal. A month and a half earlier, at the height of the tourist season, police arrested, as a result of a tipoff, several people of African origin who were hired to work as callers for restaurants in Sunny Beach. According to the tipoff, they were distributors of illegal drugs and worked for Zhelyazkov. Upon their arrest, however, they were not searched as required according to police rules. And that was obviously done quite deliberately by the police to cover up the crime. After the Africans were taken into custody at the police precinct, the drug was thrown in a hurry in the toilet bowl. Shortly after that, the drug dealers were released because there was no recorded evidence. The drug, however, was in such quantity that it could not dissolve in the toilet and the pile was found by the next shift. The policemen filed a report and a case number 304-P-15211 / 22.07.2015 was initiated. This file simmered even longer than the one from September. It wasn’t sent to the prosecution until February 17, 2016, but without being marked as a serious crime. The fate of the above case is absurd. 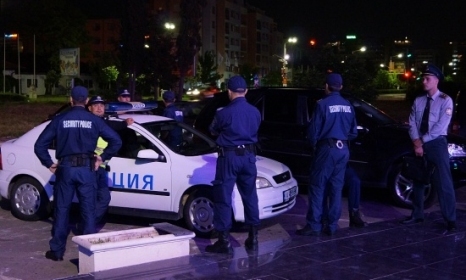 The prosecution in Nessebar forwarded it to the District Police Directorate in Burgas, which in turn sent it to the Inspectorate of the Regional Police Directorate in Nessebar. In other words – the investigated had to investigate themselves. Whether the current invasion of senior prosecutors in Burgas, personally led by Sotir Tsatsarov and Interior Minister Rumyana Buchvarova, will probe the above evidence is something that we will follow with the greatest attention. Either way, responses must be received because after the Interior Ministry and the Prosecutor’s Office refused to answer journalists’ questions, Bivol sent to them inquiries under the Access to Public Information Act (APIA). Yassen Todorov, Head of the SJC Ethics Committee.